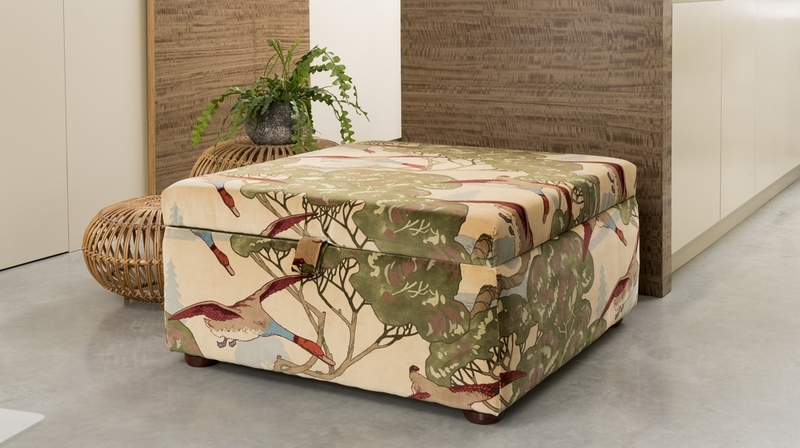 Each ottoman is individually created, with every detail carefully thought through. 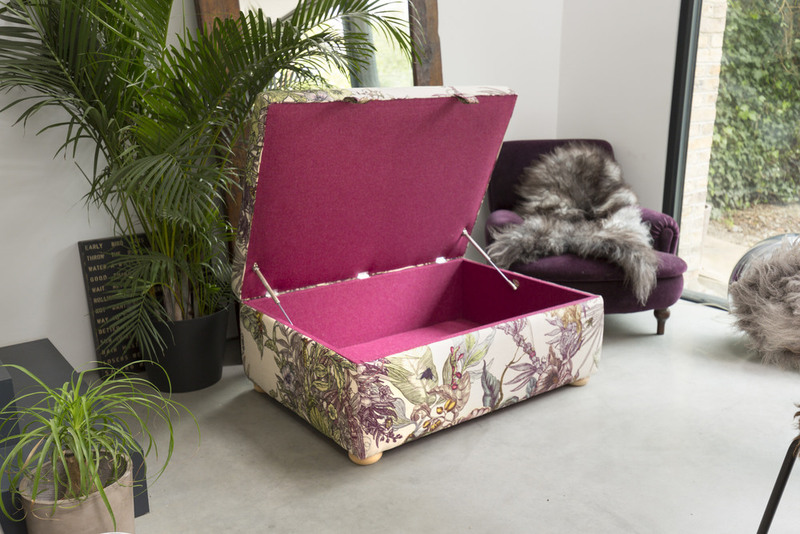 The ottoman starts with a bespoke, handcrafted box, made from sustainably sourced hardwood. 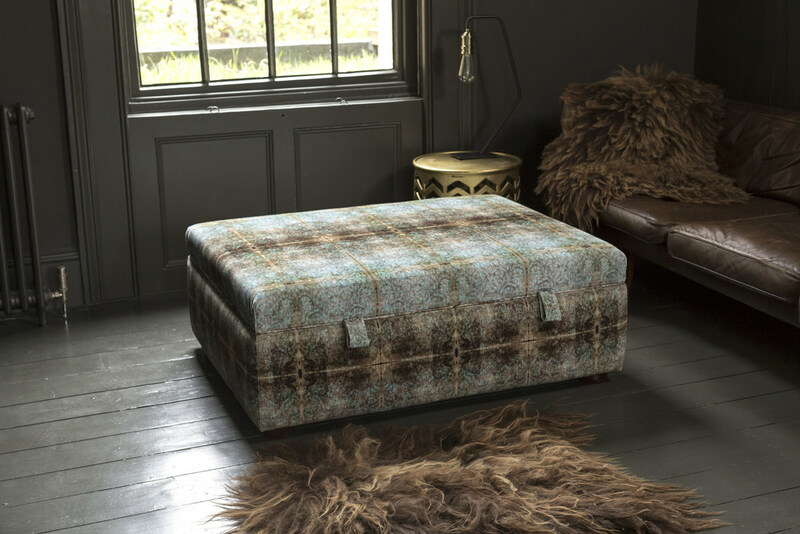 The ottoman is then lined in 100% British-made luxury wool, chosen from over 40 colours. The feet are hand-turned in beech to a unique Sarah Beech Ottomans design. The lid uses a soft opening and closing hinge mechanism and is finished with a piped edge detail. 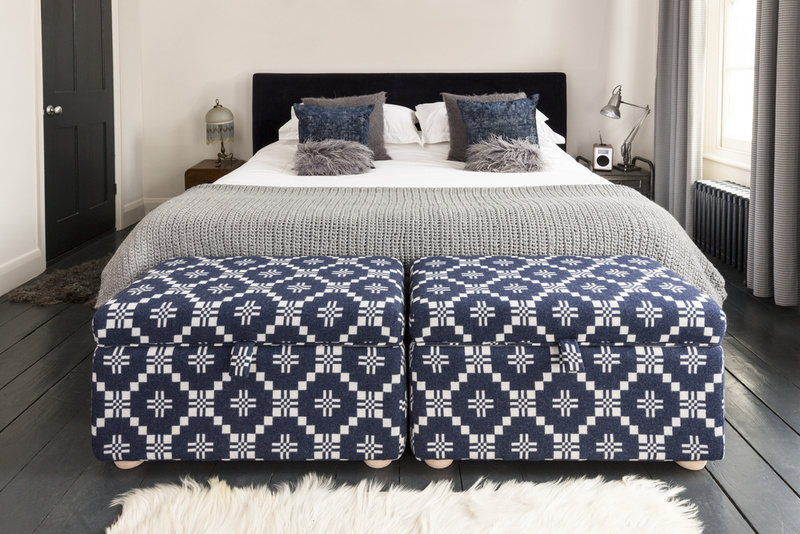 Each ottoman is gently padded inside and out and finally, a hand-sewn tab is tailored to the front for easy opening. 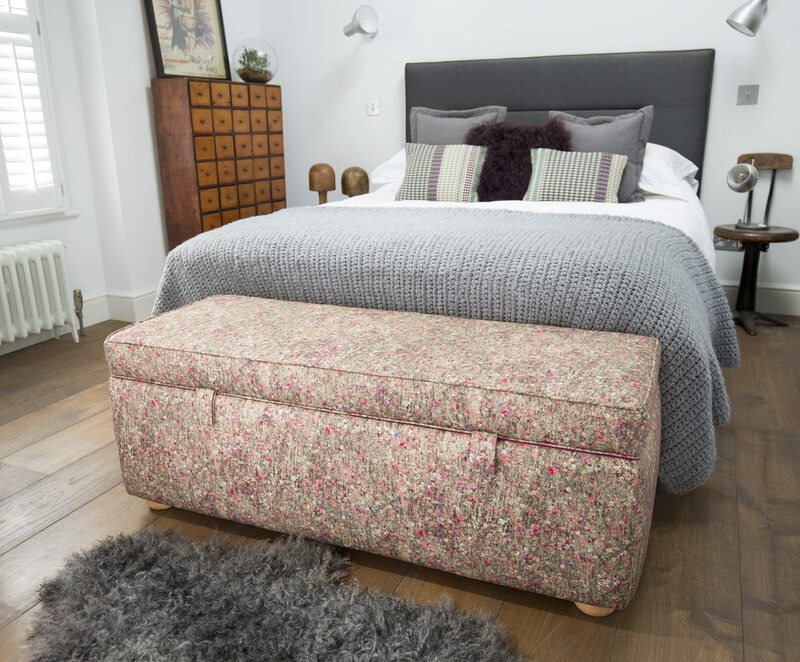 Here are just a few ottomans that we have made and delivered to homes around the UK. Please contact me if you would like to know more. The Arthur is a solid square. The Arthur Small is 45cm x 45cm x 45cm and works fantastically well at a table be it dressing or dining. 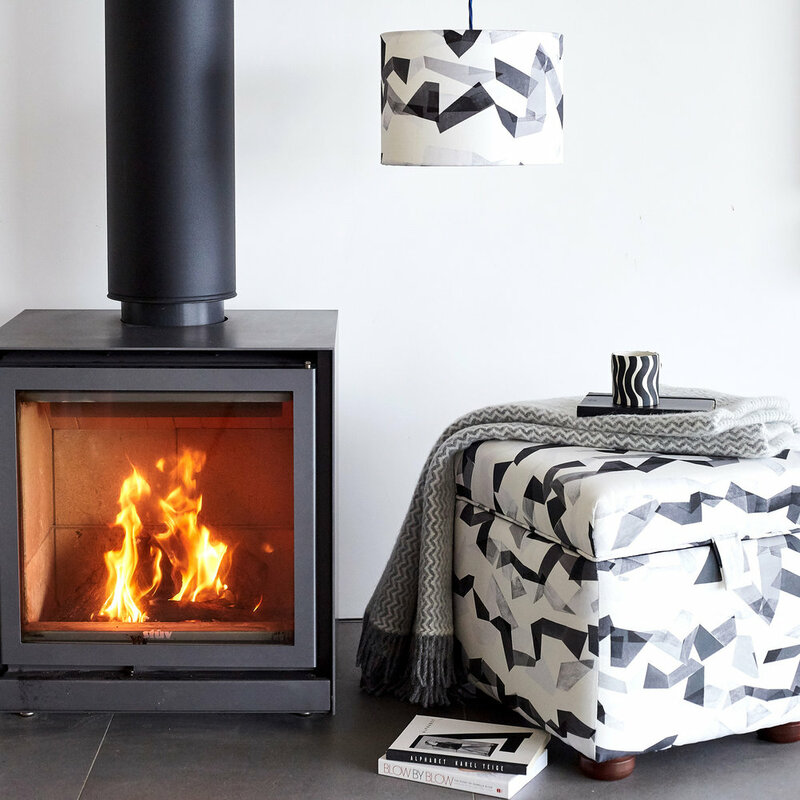 The Arthur Medium is 60cm x 60cm with a choice of two heights at 45cm or 40cm. Arthur large is a mighty 90cm x 90cm also with the choice of two heights at 45cm or 40cm. This one is very flexible. She has been seen at the end of a bed or more recently at a breakfast table. Wonderful made as a pair or on her own. There are three sizes available. Small is 80cm x 45cm x 45cm, Medium 120cm x 45cm x 45cm and Large 135cm x 45cm x 45cm. The Winnie was the first one in my collection. She is a low, rectangular shape and is available in two sizes, each with two heights. Fantastic in any living room as a coffee table or for putting your feet up. The Small is 85cm x 60cm x 45cm or available in a lower height of 40cm. The Medium is 110cm x 85cm x 45cm and is also available in the lower height of 40cm. I have designed the beech bun feet. 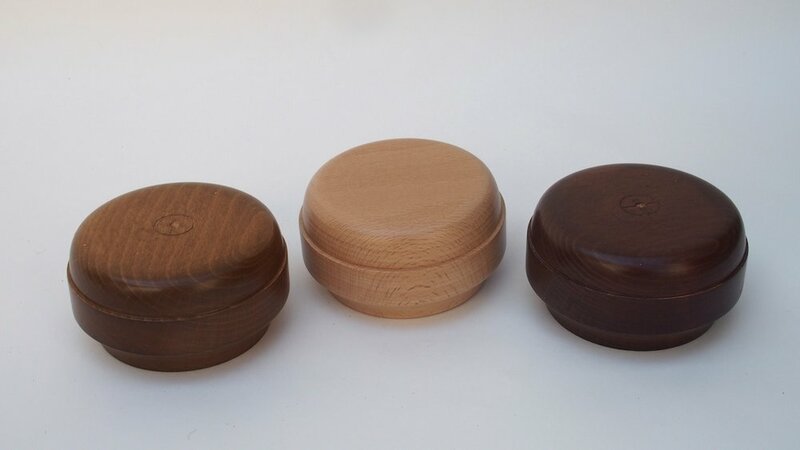 They are hand turned for Sarah Beech Ottomans in Leicestershire and they come in a choice of 3 colours, Vanilla, Caramel and Chocolate (just some of my son's favourite ice cream flavours).